In the age of social media, facilitating the connection between producer and consumer is more accessible than ever. Casey Kinler, Communications Manager with the Animal Ag Alliance based out of Arlington, Virginia, is not only urging farmers to jump on board the social media craze but is also focusing on helping zealous educators develop their message. “Now more than ever, it is really important for individual farmers and ranchers to be on social media,” Kinler said. To take it one step further, the Ag Alliance also works with college students, hosting an online scholarship competition where the goal is to teach them how to effectively communicate about animal agriculture. They just celebrated their 10th anniversary of the competition, where over 430 individuals from more than 40 different states participated. Agriculture Secretary Tom Vilsack announced that the U.S. Department of Agriculture (USDA) will be awarding over $30 million in grants to help schools prepare healthy meals for their children. Twenty-five million dollars in grants will help schools purchase needed equipment to make preparing and serving healthier meals easier and more efficient, and up to $5.5 million will provide additional training for school food service professionals. Since 2009, USDA has provided $185 million in kitchen equipment funding to states and schools participating in the National School Lunch (NSLP) and School Breakfast (SBP) Programs. USDA provides the funding to states, which then competitively award grants to school districts in order to purchase necessary equipment, giving priority to high-need schools where 50 percent or more of the enrolled students are eligible for free or reduced price meals. The school equipment grants announced today are another example of how USDA is supporting schools as they implement the new meal standards resulting from the Healthy, Hunger-Free Kids Act of 2010. USDA works closely with schools to address implementation challenges, and provides funding, training and technical assistance to overcome barriers. To further assist school food workers USDA is also announcing the availability of up to $5.5 million in Team Nutrition training grants for FY2015. These grants are only open to state agencies administering the NSLP, SBP, the Summer Food Service Program, or Child and Adult Care Food Programs. Through a competitive grants process, Team Nutrition training grants will be funded for the period of September 30, 2015 – September 30, 2017. State agencies may apply for up to $350,000. To apply for the grants, state agencies should visit www.grants.gov. These competitive grants focus on the implementation of Smarter Lunchrooms – an innovative strategy using behavioral economics to encourage healthy eating in the cafeteria – as well as the healthier meal standards, HealthierUS School Challenge, USDA Foods, nutrition education, and wellness activities in schools and child care institutions. These funds may be also used to assist the state agency in providing training and technical assistance to school staff in creating Smarter Lunchrooms. The Team Nutrition Training grants are two-year grants that have been awarded to state agencies on an annual basis since the inception of the program in 1995. They serve as key delivery systems for supporting the implementation of USDA’s nutrition requirements for meals served in schools and child care centers. USDA’s Food and Nutrition Service administers America’s nutrition assistance programs including the National School Lunch and School Breakfast programs, the Child and Adult Care Food Program, the Summer Food Service Program, Supplemental Nutrition Assistance Program, and the Special Supplemental Nutrition Program for Women, Infants, and Children (WIC). Together these programs make up the federal nutrition safety net. Pollinator species such as birds and insects are essential partners to farmers and ranchers in producing much of our food supply. Pollinators also provide significant environmental benefits that are necessary for maintaining biodiversity and healthy ecosystems. The health of our national forests and grasslands depends on pollination. These open spaces provide forage, fish and wildlife, timber, water, mineral resources and recreational opportunities for our communities and the vital industries that serve them. The State of California provides producers with conservation assistance to promote wise stewardship of lands and habitats, including the protection and maintenance of pollinators on working lands and wild lands. As Governor of the state of California, I urge all citizens to recognize the important role that pollination plays in our state’s economy and ecosystems. June 16 – 22 is Pollinator Week! Pollinator Week was initiated and is managed by the Pollinator Partnership. Seven years ago the U.S. Senate’s unanimous approval and designation of a week in June as “National Pollinator Week” marked a necessary step toward addressing the urgent issue of declining pollinator populations. Pollinator Week has now grown to be an international celebration of the valuable ecosystem services provided by bees, birds, butterflies, bats and beetles. The growing concern for pollinators is a sign of progress, but it is vital that we continue to maximize our collective effort. The U.S. Secretary of Agriculture signs the proclamation every year. The Pollinator Partnership is proud to announce that June 16-22, 2014 has been designated National Pollinator Week by the U.S. Department of Interior. The Pollinator Partnership is also proud to announce that June 16-22, 2014 has been designated National Pollinator Week by the U.S. Department of Agriculture. It’s not too early to start thinking about an event at your school, garden, church, store, etc. Pollinators positively effect all our lives- let’s SAVE them and CELEBRATE them! Author Patrick CavanaughPosted on June 18, 2014 May 31, 2016 Categories Know the issues, Health, Safety & Nutrition, Agriculture Jobs, Science and Research, newsTags: Education Bees Ecosystem Services Pollinator Week AwarenessLeave a comment on June 16 – 22 is Pollinator Week! The U.S. Department of Agriculture has unveiled Healthy Eating on a Budget – the newest addition to ChooseMyPlate.gov. Consumers continue to want more information about how to make better eating decisions with limited resources. To meet this need, the USDA’s Center for Nutrition Policy and Promotion (CNPP) developed the new resource to include easy-to-use and insightful information about planning meals, shopping smart in the grocery store, and preparing foods that save money and time in the kitchen. Consumers who visit the Healthy Eating on a Budget section of ChooseMyPlate.gov will learn ways to plan, purchase, and prepare healthy meals. The new web pages provide families with tips and strategies to help save money and plan a healthier diet. The new section includes the latest addition to the MyPlate 10 Tips Nutrition Education Series, Save More at the Grocery Store which emphasizes simple-to-use tips to help consumers make decisions as they walk down a supermarket aisle. Dozens of additional strategies are featured in the new section including using unit pricing, reading food labels to compare items, and checking sales on store brands. Healthy Eating on a Budget supports other initiatives in progress at USDA to encourage healthy eating among more Americans. With so many food options available, it is often difficult for consumers to determine the best foods to put on their plates when the budget is tight. Healthy Eating on a Budget provides practical information to help more Americans understand their options and supports USDA initiatives to help families make healthy eating a priority in their daily lives. A University of California report has exposed the injustice that prohibits a genetically engineered additive to rice. Without it, the death of millions of children has occurred, notably in Africa and India. The researcher opinion lays the blame for the international prohibition of producing golden rice through genetic engineering on powerful forces that hide behind environmentalism. California, one of the world’s major rice producers, is ready to supply the vitamin enriched product, especially for export. The UC report appears in the current issue of the university’s respected Update, a bi-monthly publication compiled by the Agriculture and Natural Resources Department. The authors are Justus Wesseler, professor for Agriculture and Food Economics at Technical University, Munich; Scott Kaplan, research assistant at Energy Biosciences Institute at UC Berkeley, and David Zilberman, professor in the Agricultural and Research Economics department at UC Berkeley. The GE process for folding vitamin A into rice, transforming it to golden rice, has been well understood since 2000, but efforts to gain approval have been opposed by powerful regulators, particularly in India and Bangladesh. Both countries are known for the staggering incidence of disease, disabilities and lagging development resulting from a lack of vitamin A in the diets of their citizens. The authors of the UC report point out that the creation of golden rice could have saved millions of lives and avoided blindness, vulnerability to childhood infections, anemia and poor growth in millions since the engineering process for adding the vitamin was discovered in 1999. The researchers recall that the nearly worldwide objection to creating golden rice was led by Greenpeace. It was perhaps the most notorious radical environmentalist group at the turn of the century, characterized by a series of risky, but widely reported escapades aimed at derailing broadly-accepted programs and activities that were in the news. The movement’s objections were always based on what it perceived as dangers to the environment. Dr. Patrick Moore, Chair and Spokesperson, “Allow Golden Rice Society”. A 2012 Greenpeace publication states, “If introduced on a large scale, golden rice can exacerbate malnutrition and ultimately undermine food security.” Authors of the UC report elaborate by saying that Greenpeace fears that golden rice may accelerate the adoption in developing countries of other GE crops perceived by Greenpeace and others to be very dangerous. 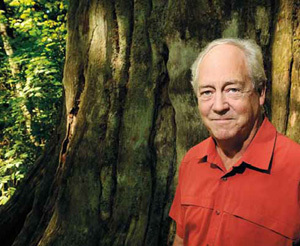 The report also refers to the 180-degree turnabout by former Greenpeace leader and co-founder Patrick Moore, who now promotes a group called “Allow Golden Rice Society.” He has recognized that the poor have paid the majority of the price of the fight against GE technologies. Dr. Moore published a book in 2011 called, “Confessions of a Greenpeace Dropout: The Making of a Sensible Environmentalist”. The UC report says that a large and growing body of literature indicates that GE varieties have produced a significant amount of real benefit throughout the world. Publication of the report seems to be an invitation to everyday environmentalists, often fans of radicals and extremists like Greenpeace, to back off a bit and realize the harm and human suffering that have resulted from blocking the humanitarian approval of golden rice. The UC paper suggests that policies regulating GE technologies need to be reassessed. Perhaps that reassessment needs to begin with a bunch of hangers-on environmentalists in your community and mine who haven’t yet determined that many environmentalist beliefs and policies have nothing to do with human welfare. Crop advisers in California and Arizona have the opportunity to register for the August 1, 2014 Certified Crop Adviser (CCA) Exam until June 20, 2104. The exam will be given in Sacramento, Salinas, Tulare and Yuma. Registration for the exam is available at https://www.certifiedcropadviser.org/exams/registration. There are over 850 active CCAs in California and Arizona that are playing an important role in helping growers with the efficient and environmentally sound use of fertilizer and crop management. Many California CCAs recently completed the University of California/California Department of Food and Agriculture Nutrient Management Training Course which qualified them to complete nitrogen management plans for growers that are or will be required by the various California Regional Water Quality Boards. “The California CCA program is the fastest growing CCA program in North America with more 200 individuals taking the January exam and we expect a large group to take the upcoming exam. An exam preparation course has been scheduled in Sacramento on July 8 to help candidates prepare for the test”, said California CCA Chairman, Mike Huffman, The Lyman Group. Registration for the exam prep course is available at https://capcaed.com/continuing-ed-seminars/july-8-2014-sacramento-ca-cca-exam-prep-workshop/. More information on the California CCA program is at www.cacca.org. You can contact Steve Beckley at (916)539-4107 or sbeckley@aol.com for more information. The California CCA Program is also on Facebook. Two short agriculture business courses will be offered in 2014 for agri-business professionals who want to learn about the scope and intensity of fruit, nut and vegetable production in California. The June 14-17 session in the San Joaquin Valley and the October 6-9 session in the Salinas Valley will provide outstanding opportunities to delve into California specialty crop agriculture with its unique challenges and opportunities. The format of the classes will be of value to those new to horticultural crop production as well as seasoned agri-business professionals. The three-day courses, organized by Visalia-based AgBusiness Resources, have been specifically designed to equip participants with a broad understanding of intense crop production in these unique farm settings. The San Joaquin Valley session will focus on some of California’s most iconic crops – almonds, citrus, grapes and stone fruit as well as processing tomatoes and Asian vegetables. In the Salinas Valley, lettuce, cole crops, artichokes, strawberries and wine grapes will be featured. Both Crop Schools will include field visits to farms, processing facilities and research centers as well as classroom time with growers, pest management experts and university scientists. Representatives from the food, chemical, fertilizer, equipment, packaging, financial, transportation and environmental monitoring industries are encouraged to participate. Pest Control Advisors and Certified Crop Advisors in attendance will have access to 15 PCA and 15 CCA continuing education units. Participants at the inaugural 2013 Specialty Crop School benefited from the extensive knowledge and experience of growers, crop managers and other professionals in the agricultural supply chain. Due to the favorable response and interest expressed last year by attendees at the San Joaquin Valley event, a coastal session has been organized for 2014. Class sizes will be limited and seats are available on a first come first served basis. For complete course topics and registration information for both schools, go to www.specialtycropschool.com. Proteus is now accepting applications for its Standard and William Maguy Scholarships for the 2014-15 academic year. The $500 Standard Scholarship is open to full-time college students or those planning to enroll as full-time students for the 2014-2015 school year, who are low-income status, farmworkers, dependent of a farmworker, or who have been served by a Proteus program in the past two years. This scholarship program targets new or continuing students enrolled in two or four-year colleges, or accredited post -secondary institute. The $1,000 William Maguy Scholarship is open to full-time students who have completed at least two years at a university or community college. This scholarship will be given to a person who exemplifies the larger-than-life quality of Proteus’s former CEO, William Maguy, who focused on empowering and serving people. Those interested in applying should have a GPA of 3.0 or higher and demonstrate their community involvement in organizations that serve others. All applicants’ primary residence must be in, Kern, Kings, Fresno, or Tulare counties. The deadline to apply for the Standard Scholarship is April 2, 2014, and the deadline to apply for the William M. Maguy Scholarship is April 30, 2014. For more information, or to download the application at http://www.proteusinc.org/. Twenty scholarships in the amount of $1,500 will be awarded to students to help them pursue a career in agriculture, engineering or construction management. Applications will be accepted through Friday, April 18, and must be submitted to the Fresno County Farm Bureau, 1274 W. Hedges Ave., Fresno, 93728. To read/print the Charles P. Lake/Rain for Rent Scholarship Brochure, please visit, www.rainforrent.com/company/scholarship.aspx. Scholarship applicants must have completed their freshman year at an approved college/university and must be currently enrolled for the next school year. Junior college students who are registered as sophomores and fall within the requirements may apply. To obtain a scholarship application, please contact Katie Rodgers at 559-237-0263 or info@fcfb.org. The Gar and Esther Tootelian Charitable Foundation Farm Grown scholarship applications are now available for graduating high school seniors. The successful candidate will be awarded $1,000 each year and an honorable mention finalist will receive $500. Candidates must be high school seniors graduating in 2014 who will pursue a degree in an agriculturally-related field. Applicants must be in good standing and go to school in Fresno, Tulare, Kings, Merced, Madera, Mariposa or Kern counties. For more information and to apply, click here. The deadline to apply is April 1. The Friends of the California State Fair Scholarship Program awards California’s most promising students with scholarships ranging from $500 to $5,000. This year, they will award more than $34,000 in scholarships to deserving California students. College students and graduating high school seniors who exhibit academic excellence, leadership potential, civic engagement and a strong sense of personal commitment to continuing education are eligible to apply. The deadline is March 7. For more information, or to apply, visit www.bigfun.org. The Central Valley CWA is pleased to announce the call for 2014 scholarship applications. Scholarships are offered to high school and college students studying for careers in agriculture-related fields. The applications must be received by mail on or before March 28, 2014. No hand-deliveries or email applications will be accepted. For more information, or to download the application, click here. The San Joaquin Valley Quilters’ Guild is pleased to offer one $500 scholarships to students interested in fiber related arts. Qualified applicants include those focusing on fiber as an art medium or those with skills in costume or clothing design or textiles and textile conservation. High school seniors and college students may apply. Preference will be given to students enrolled at least halftime in a Fresno County college or university. Application, two recommendations and a photo of the applicant must be postmarked by April 1 to receive consideration for this year’s scholarship. Email the 4-H program coordinator at evillalobos@ucanr.edu for a scanned copy of the application. The Fresno-Kings County Cattlewomen’s (FKCCW) Association is offering a scholarship. Applications and information are available online at http://www.fkccw.com/. There are a number of scholarships available to 4-H members and alumni. Visit http://ucanr.org/scholarships for more information about Fresno County 4-H, California 4-H or other scholarships.